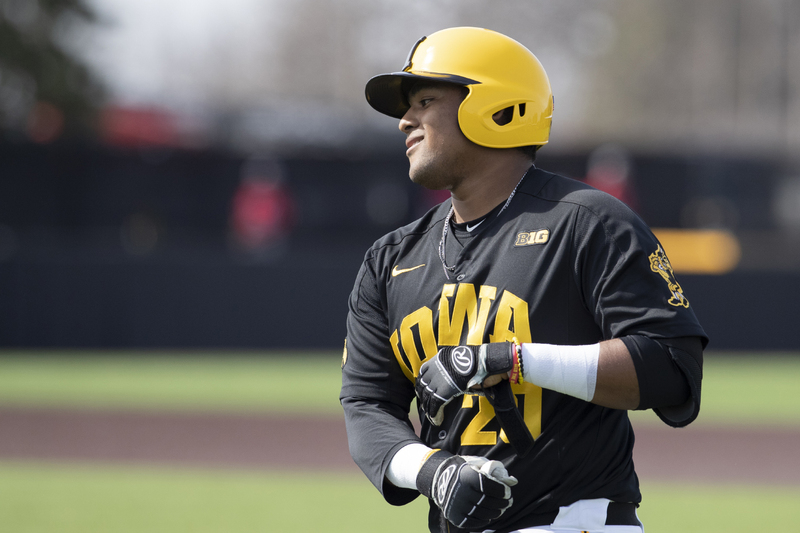 After facing injuries and losing a nine-game hitting streak, Izaya Fullard’s 3-run homer in Iowa’s first win over Rutgers proved he’s back. 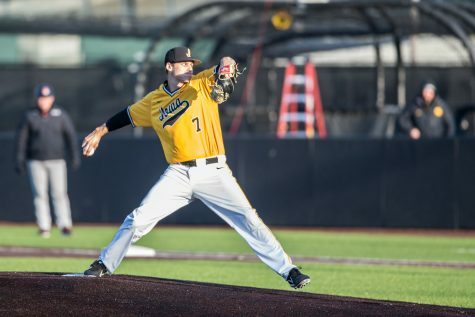 Iowa infielder Izaya Fullard takes off his gloves after bunting to first during the sixth inning of the afternoon Iowa vs Rutgers game at Duane Banks Field on Saturday, April 7, 2019. 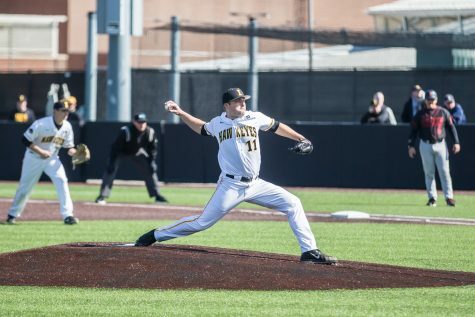 The Hawkeyes defeated the Scarlet Knights 9-5. 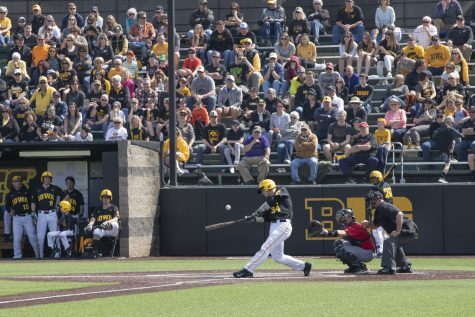 On April 5, Iowa baseball found itself in a cage fight with Rutgers heading into the bottom of the sixth inning at Banks Field. 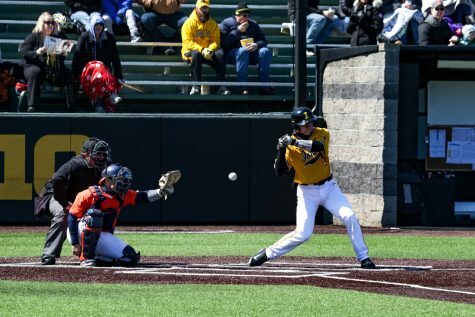 Neither the Hawkeyes nor the Scarlet Knights had strung together any momentous offense, until Austin Martin notched an RBI double, putting himself and Mitchell Boe in scoring position and giving Iowa a 1-0 lead. 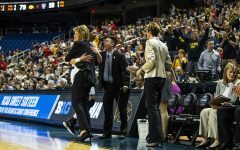 But the play of the game — essentially, what put Rutgers in a hole too deep to climb out of — came when sophomore Izaya Fullard stepped up to the plate. 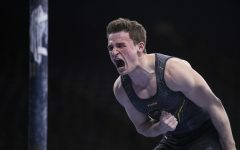 Facing a 1-1 count, the North Liberty native connected, sending the ball towering past the back wall and over the scoreboard. 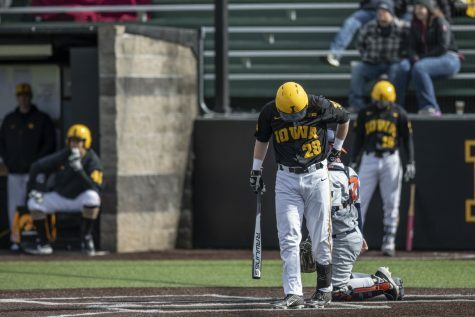 His 3-run missile boosted Iowa’s lead to 4 runs — a deficit Rutgers failed to close. 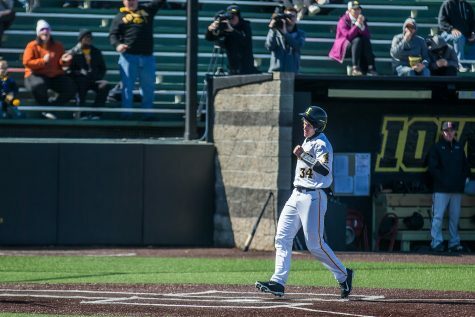 Fullard’s homer in the sixth marked just his second home run in his Hawkeye career, the first at home. 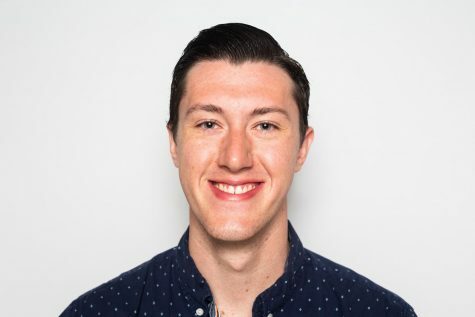 For the Iowa City West graduate, it was a play he’ll never forget. Health-wise, though, it hasn’t been smooth sailing for Fullard. A pitch hit his hand during a game, and Fullard battled through it. Then, Heller said, an illness hit him on March 31. But as he sat out with sickness, Fullard’s hand was able to heal, and the results were clear: 4 hits, 1 home run, and 3 RBIs in the weekend series against Rutgers. 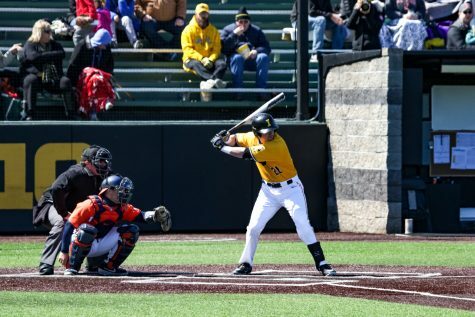 Prior to a hitless day against Illinois State on April 3 (his first game back after a short absence), Fullard had a nine-game hitting streak. During that span, he put out two multihit performances, including a 3-for-4 outing against Chicago State on March 20. This season, Fullard has a .291 batting average, fourth on the team. His 30 hits tie Ben Norman for the team’s second-best mark. Prior to arriving on campus, Fullard spent his first season of college ball tearing things up at Kirkwood. During his one season, Fullard was named a first-team Division II All-American and earned all-region and all-district honors while hitting .470. His 102 hits led the national Juco association, and his 76 RBIs ranked third. 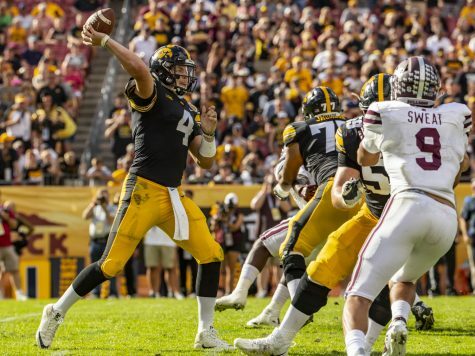 Recently, the Hawkeyes have had to search for offense. 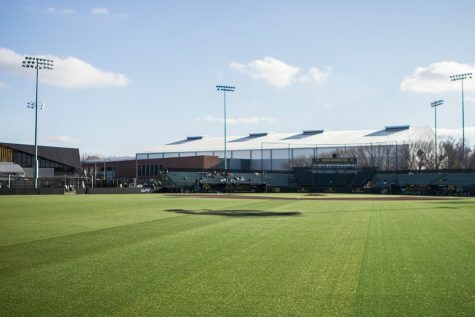 Prior to the series against the Scarlet Knights, Iowa had scored 14 runs in four games. 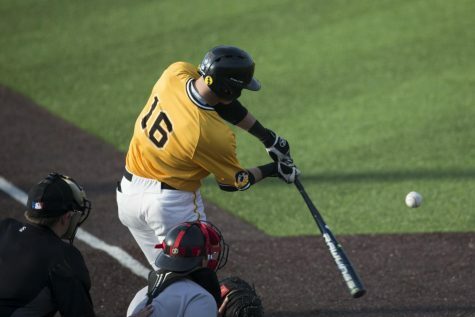 Thanks to Fullard’s bat, Iowa took a step in the right direction, especially in its first game against Rutgers.